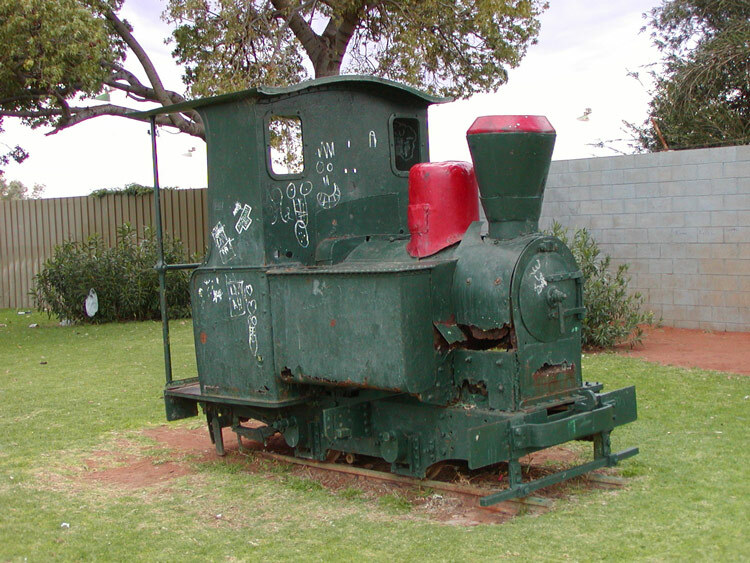 This interesting little 0-4-0T locomotive came from Haine Saint Pierre (builder's number 491 of 1894) and is only locomotive from this Belgian builder remaining in Australia. It was last used at the Peak Hill Gold Mines and apparently sat abandoned at Peak Hill for many years, having been stripped of all non-ferrous fittings. 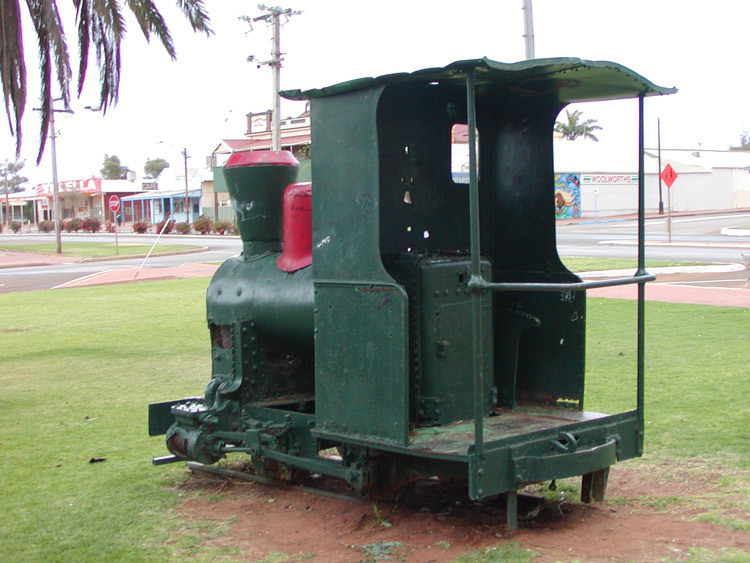 It was eventually retrieved for display and is now plinthed in the main street of Meekatharra. My thanks to Howard Jones for contributing the photographs shown on this page; these photos show the Haine St Pierre locomotive is missing the right-hand side cylinder and motion, left-hand water tank and all backhead fittings. Hopefully this interesting survivor will one day be restored for display in a better home. 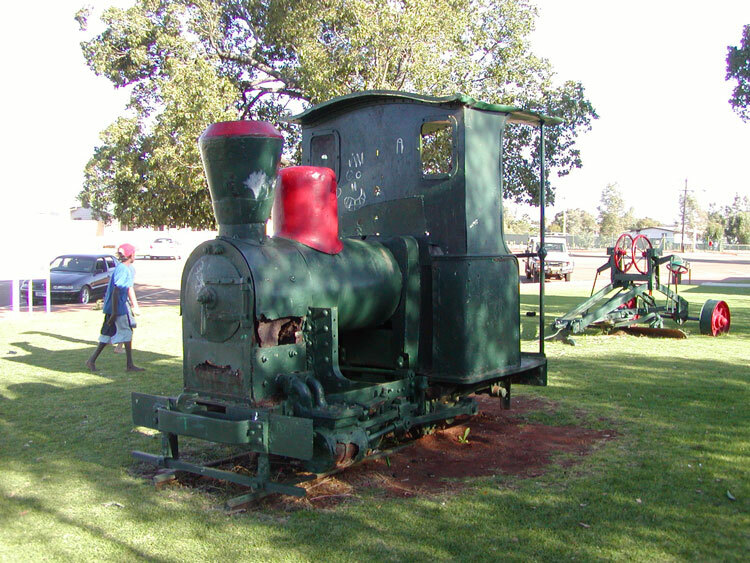 Two further views of the little Haine St Pierre locomotive at Meekatharra in October 2001.